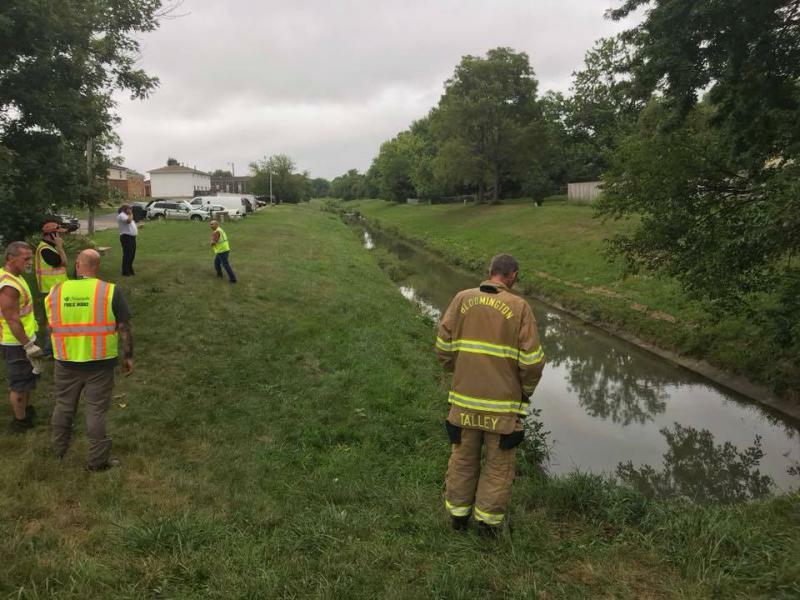 An overnight diesel spill at a Shell gas station in Bloomington contaminated a nearby creek. 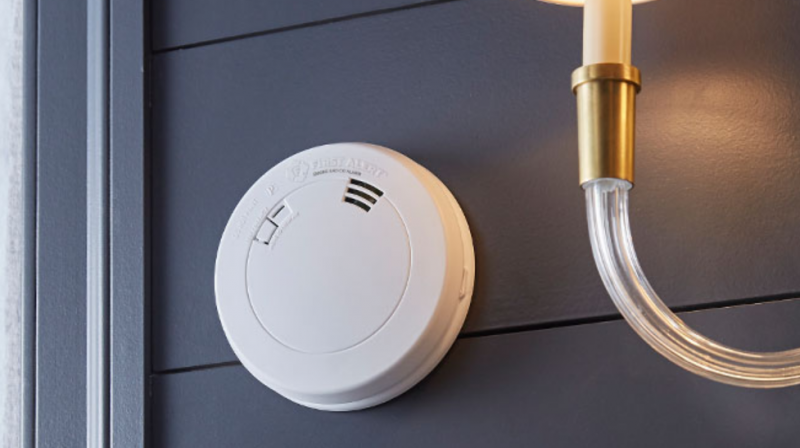 Illinois residents will be purchasing new 10-year battery life smoke alarms before a 2023 deadline to comply with the law. Bloomington-Normal residents, however, have the opportunity to grab one for free. Seven residents were displaced Friday morning after an apartment fire on Croxton Avenue. There were no injuries. It took crews about an hour to get a fire under control early Thursday at a Bloomington apartment. 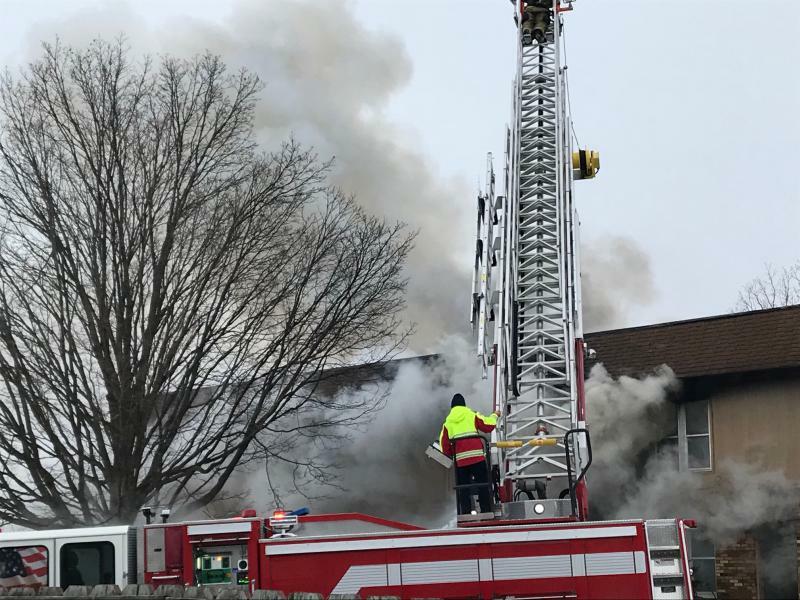 The fire was reported around 2:42 a.m. Thursday at a building in the 1400 block of North Lee Street, a few blocks west of Illinois Wesleyan University's campus, the Bloomington Fire Department said in a statement. Crews saw smoke coming from the second floor upon arrival. It began as an accidental unattended cooking fire, officials said. Four residents were expected to receive help from the American Red Cross, officials said. 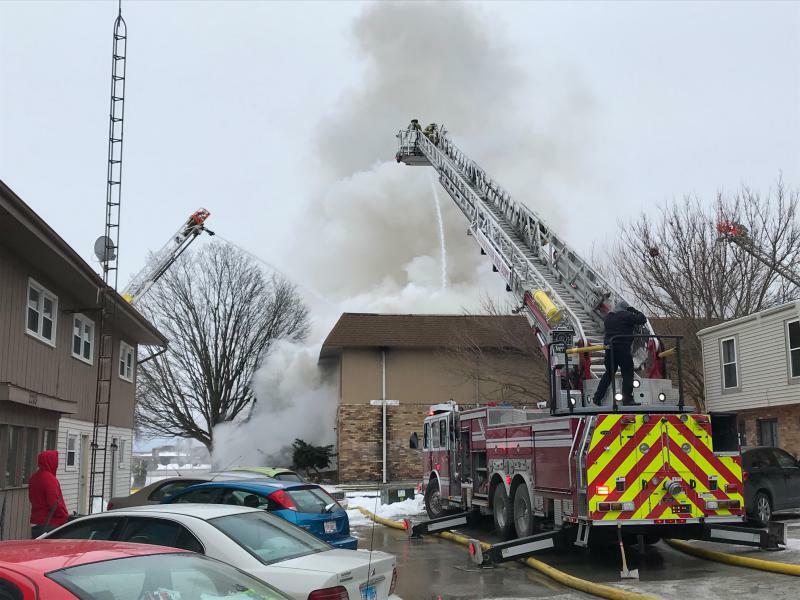 A Bloomington apartment building that caught fire earlier this month had 226 building code violations, including non-working smoke detectors, Mayor Tari Renner said Tuesday. 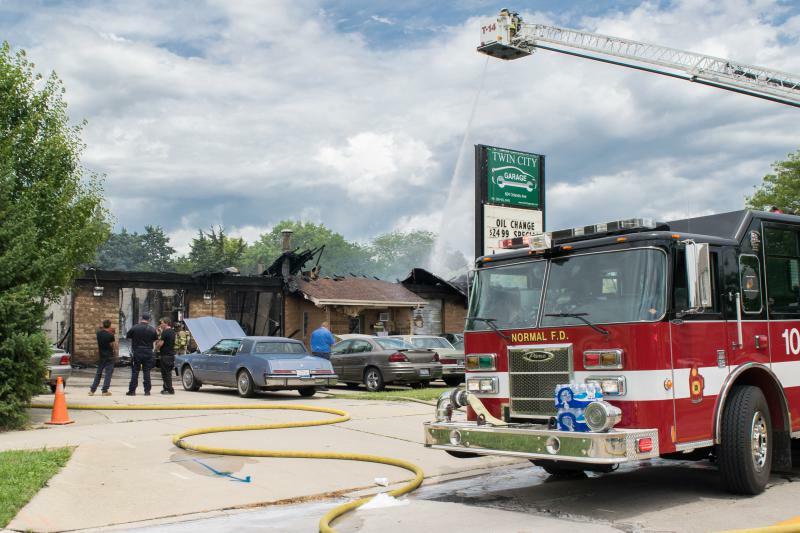 Donations were still being accepted Monday for residents displaced by a weekend fire that caused an estimated $650,000 in damage to their apartment building on Bloomington’s east side. 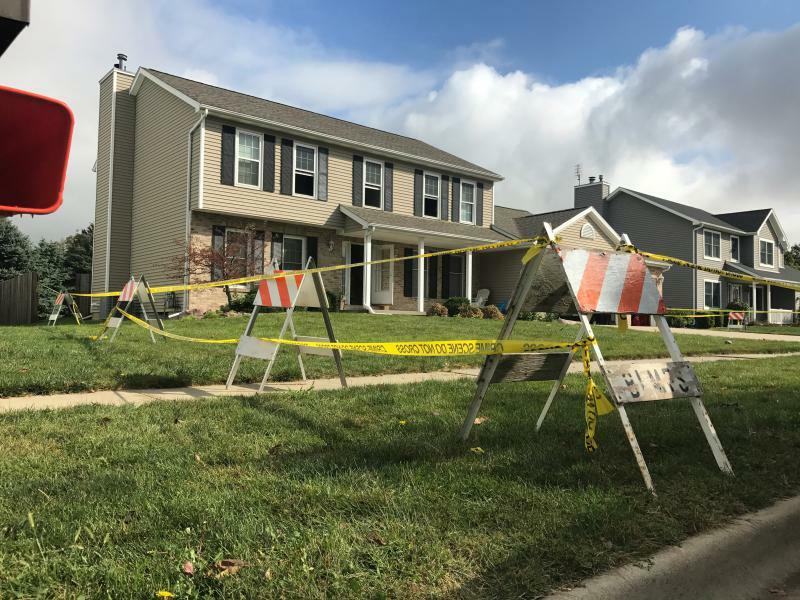 Three people—including two children—were found dead after an early morning house fire that Bloomington police say was intentionally set. A fourth person survived. Bloomington Fire Department officials are investigating the cause of a west Bloomington house fire. Firefighters responded at around 4:30 AM and found fire showing from all sides of the home. They quickly called in backup, including the Town of Normal Fire Department. Crews were unable to enter the building and knocked down flames from the outside of the home. No one was home at the time of the fire. Damage to the structure, which was being remodeled, is estimated at $100, 000. 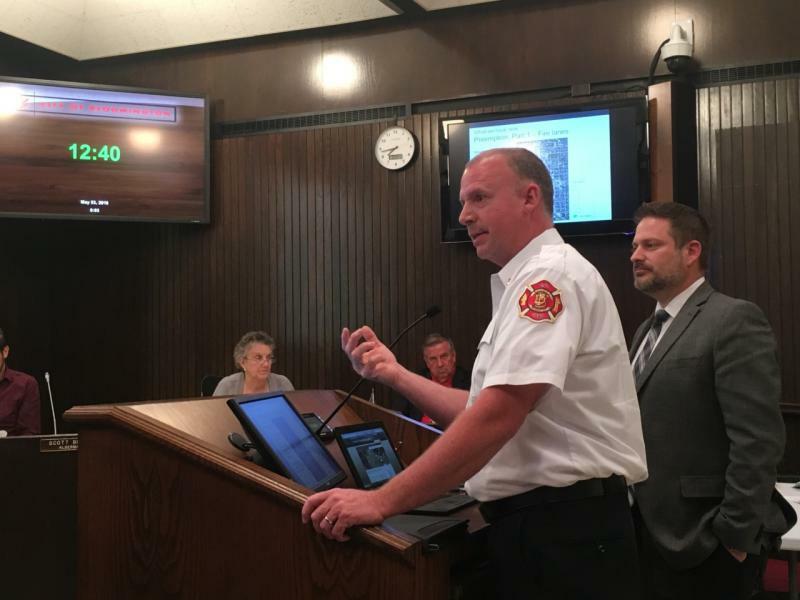 The Bloomington Fire Department continues to lobby for a northeast side fire station. But, Fire Chief Brian Mohr said Monday night he doesn't expect that to happen soon. Mohr told the city council response times are too long to the northeast side, which puts stress on other parts of the system. A man has died in a mobile home fire in south Bloomington. Fire Department spokesman Stuart Blade says the call came in a little before eight a.m. about a fire on Avenue G of the Hilltop Mobile Home Park. For the first time in two years, Bloomington firefighters have had to rescue people from flames and smoke. Flames broke out in the kitchen of an apartment in a building on West Graham Street Wednesday afternoon. An early morning fire in Bloomington caused 125,000 dollars damage to a home on North Lee Street. 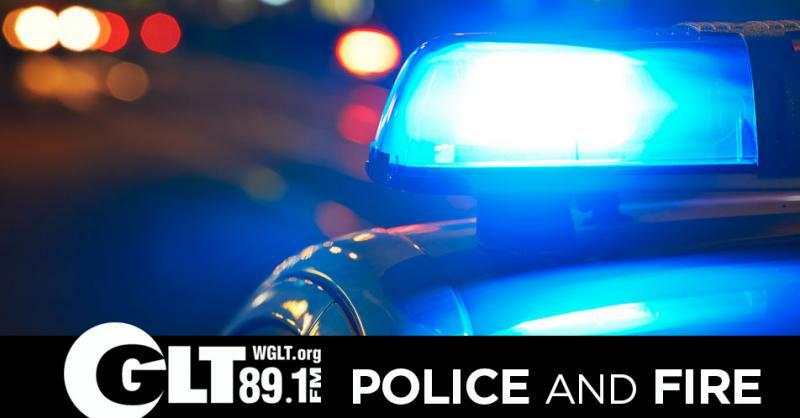 One adult and five children escaped without injury about 1:40 a.m. Monday from the home in the 14-hundred block of North Lee. Red Cross workers say they are helping the residents. Firefighters say they called in backup from Normal and an extra crew from Bloomington to help put out the flames. The fire began in the kitchen, but investigators have not yet determined the cause of the flames. The majority of Bloomington Fire Department calls are for emergency medical services. 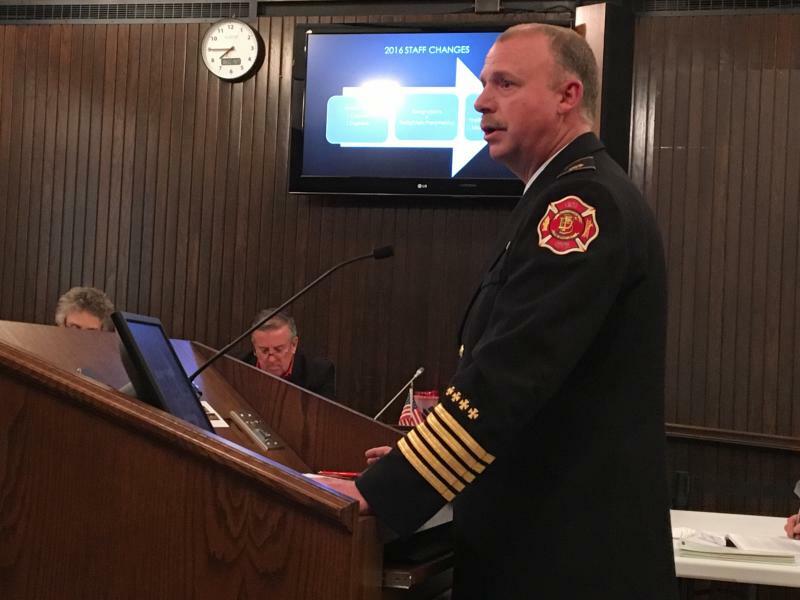 Fire Chief Brian Mohr told aldermen in his annual report that when they are called for a fire, they arrive in six minutes 72 percent of the time. Flames have destroyed a Bloomington business. Bloomington Fire Department investigators now say the blaze, at a woodworking firm in the 500 block of South McClun Street is suspicious in nature. Bloomington Police are assisting BFD with the ongoing investigation. Firefighters arrived on the scene a little after 6 AM Tuesday. Miller Whiteside Woodworking repaired furniture and made cabinets and countertops. The fire department reports no injuries. 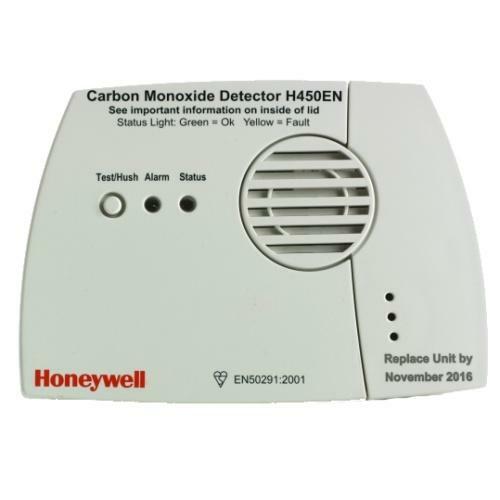 Lack of a working Carbon Monoxide detector, and a bad furnace nearly killed two Bloomington residents Saturday. One woman suffered smoke inhalation injuries during a late-night blaze on Bloomington's northwest side. Firefighters were called to a duplex at 64 Vermont Street at 11:34 P.M. Thursday, to find the woman outside the home. 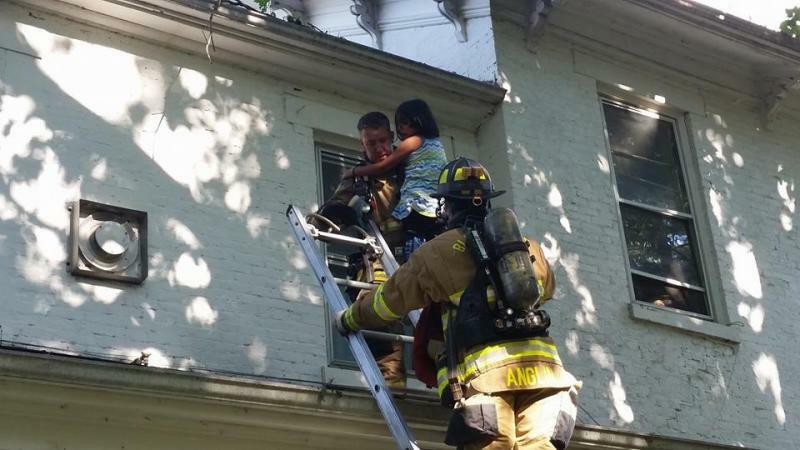 A male resident carried the woman to safety after he realized she was in the smoke-filled basement, where Bloomington fire officials believe the fire originated. They credit a smoke alarm with alerting the man, who was asleep upstairs. 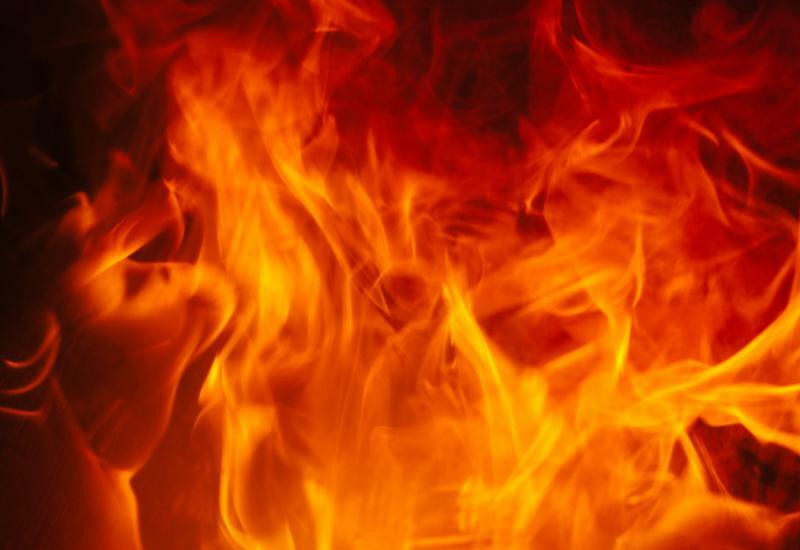 Two people have died in a house fire in Homer. Homer Fire Chief Don Happ says the early-morning fire also injured two others. Happ says the two survivors ran from the home screaming ``Get my family out of the house.'' 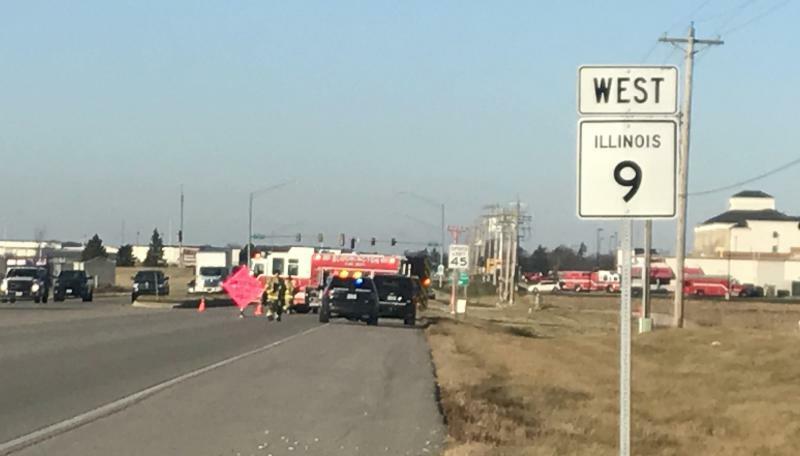 The two were taken to a Springfield hospital for treatment. The victims weren't immediately identified. Chief Happ says the home's occupants had a fire going in a fireplace. He says one victim was found close to the front door and the other close to a bathroom. The Illinois State Fire Marshal was investigating. 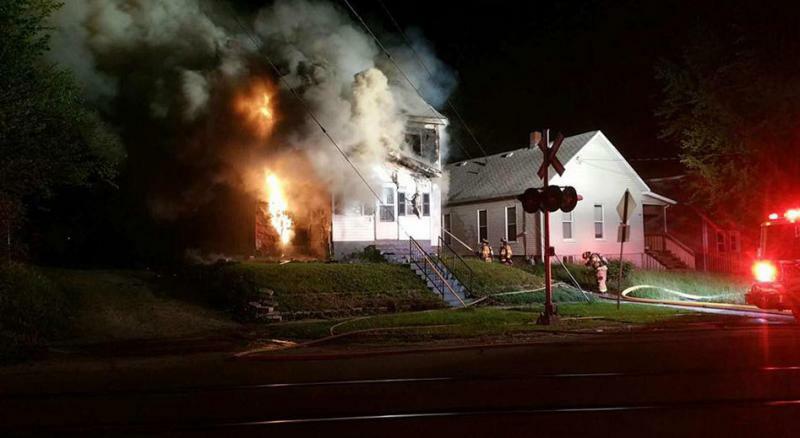 Firefighters responded from Homer, Ogden-Royal, St.
Bloomington firefighters were unable to save a house that was engulfed in flames shortly after 9 PM Friday night. The home at 2309 Rainbow Ave. was destroyed. Extra firefighting equipment and assistance from the Normal Fire Department was called in to assist. 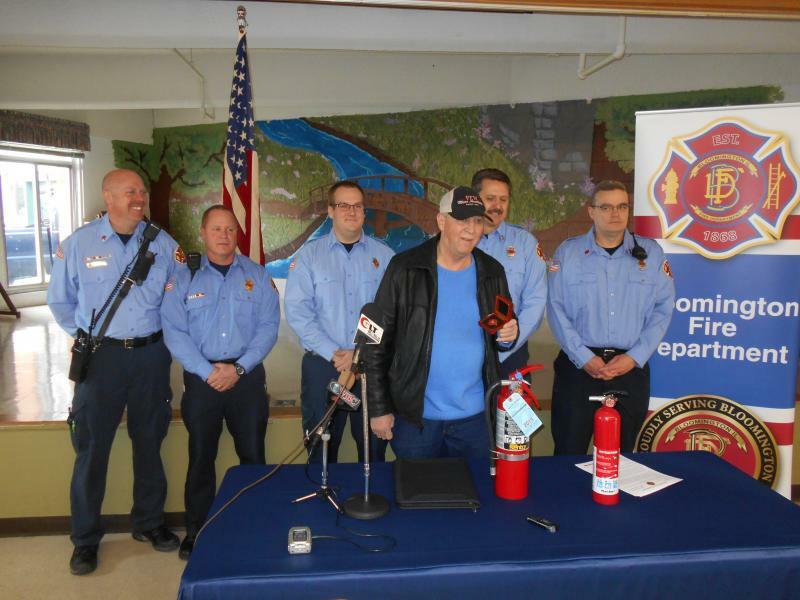 A Bloomington man whose preparedness and rapid response likely saved a neighbor's life, is honored by the Fire Department. On Thanksgiving day, David Cummings was able to use his personal fire extinguisher to put out a fire at the apartment next door at Woodhill towers. Bloomington Fire Chief Brian Mohr says Cummings actions that day deserve recognition. 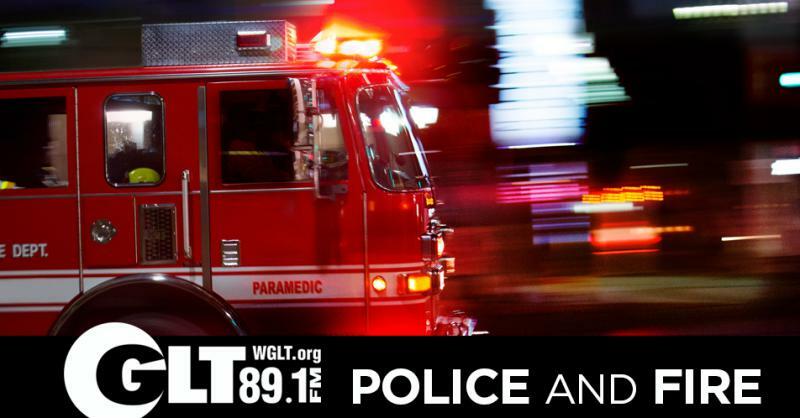 The Bloominton Fire Department says it has yet to determine a cause for the fire that caused heavy damage to a home on Lakeshore Circle in North Bloomington Tuesday evening. But, Deputy Fire Chief Les Siron says damage estimates top $200,000. Flames at the residence also scorched the siding of the house next door causing $35,000 damage there. The owner of the home tells firefighters he heard a lour noise and went outside to find a large fire on the east end of the house. Investigators have so far found flames began around the enclosure to the fireplace.